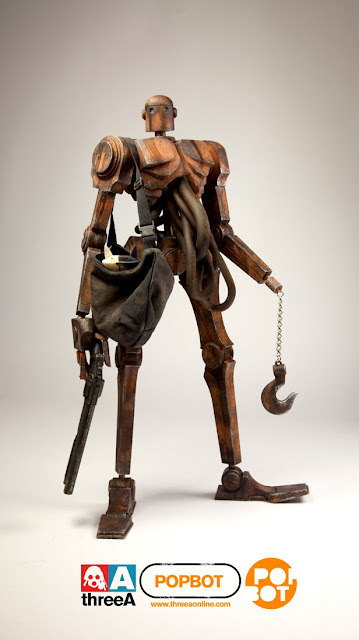 The retailer Popbot (above) will be 14.5 inches tall and will come with a randomly painted kitty, a shoulder bag and one long-barrel pistol. Kitty has 10 possible color variants. The retailer Badbot comes with 2 long-barrel pistols. 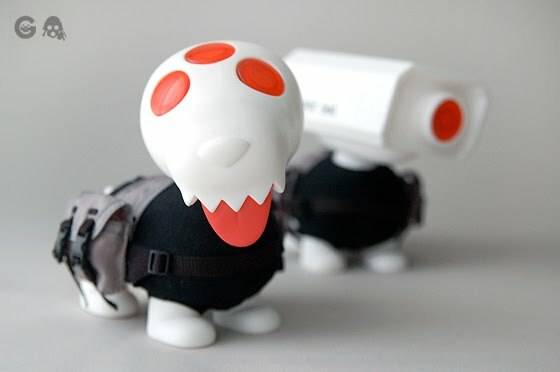 Price each for a Popbot or a Badbot will be $150 and we ship free within the US. These figures are available individually packed, or we can also get them packed together in a 2-pack (1 Badbot, 1 Popbot) for a little less ($280 for the 2-pack). 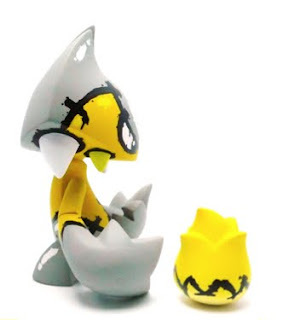 So far I have ordered the individually packed figures; I have not yet ordered a case of the 2-packs since I need to know for sure if I can sell enough. Very expensive! 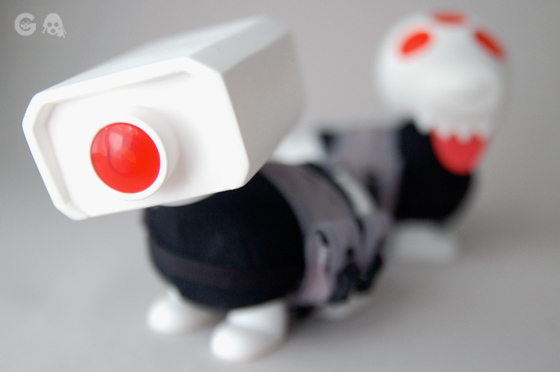 Email us if you're interested in a Badbot, a Popbot or a 2-pack. 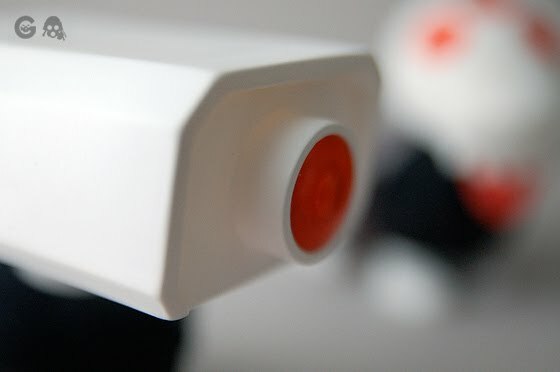 This white retailer-only version of the Jamungo K11 set will be coming some time soon. Each figure is 4" tall and made of vinyl. I believe the price for the set will be $75. SPOT includes sweater, modular harness with removable pouches and removable helmet. **UPDATE** Preorders now available on our website! K11 set will ship to us in August. 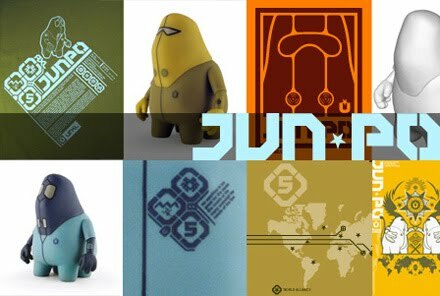 No one is sure how long the JunPo organization has been around. 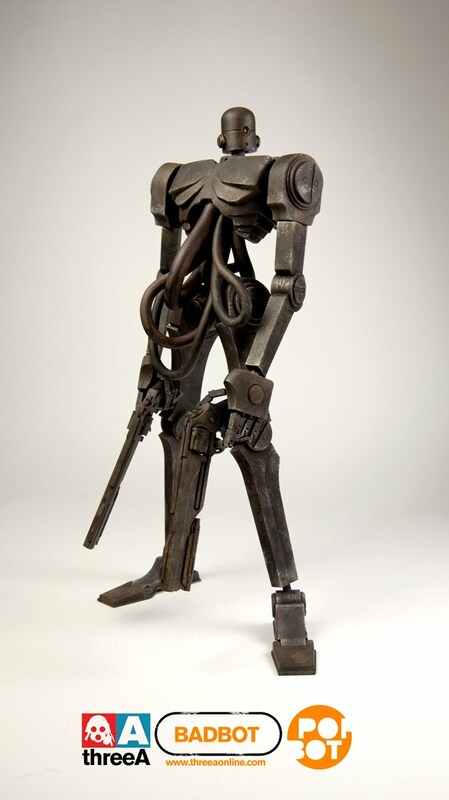 Like the Samurai, they have existed as a secretive global faction passing down their mission and way of life for centuries. The JunPo came out of the shadows just after the turn of the millennium confirming their presence and vowing to continue to protect the human race. These self-proclaimed public servants have always been made up of working class-laborers with little stake in the world around them. Throughout time they have hidden within unremarkable lives while secretly performing remarkable tasks. The JunPo utilize highly specialized skills and an impressive knowledge base about the world’s key strategic locations and government organizations. To date only three of JunPo’s members have come forward as spokesmen of the organization: Axl, Tran, and Raj. Each oversee distinct global regions and posses unique skills of their own such as deep sea recovery or urban chemical clean-up. The group’s total numbers are unknown. Some estimates put membership as high three hundred. The exact number of JunPo members may never be known but what we can be sure of is their resolve to continue their efforts. 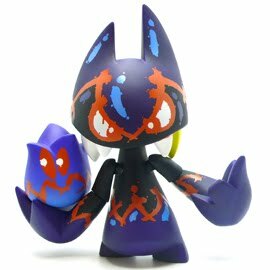 In stock now are 2 beautiful colorways of a dynamic and interesting 6-inch tall vinyl toy: Lucius by MIST. 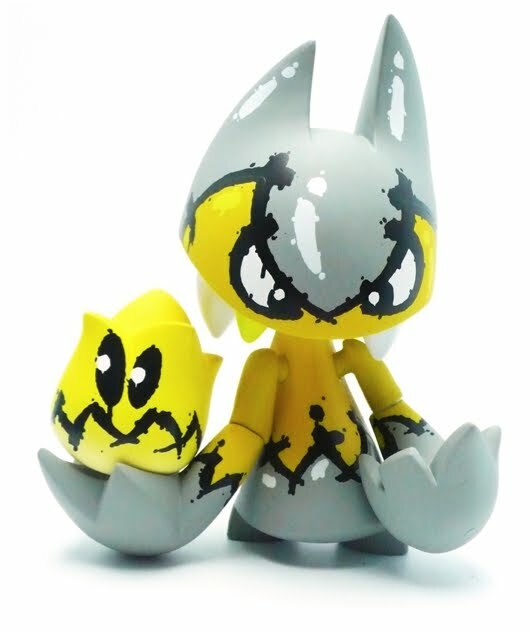 These 2-piece figure sets were made by Artoyz and they are of the highest quality. The blue/black colorway shown above is a US edition, sold exclusively in the US. You can buy one here in our store for $59.95. You can also buy the yellow one in our store here. 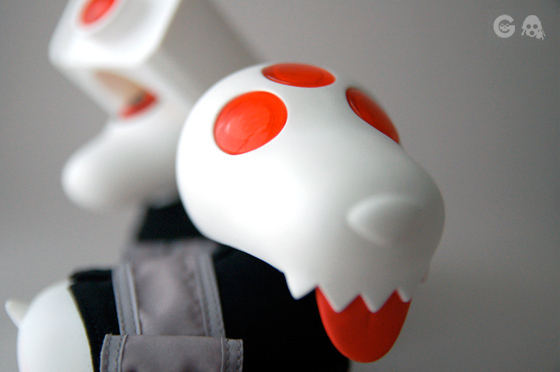 Artoyz Originals presents Lucius, a devilish new vinyl creation by MIST. 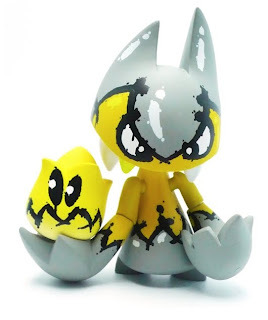 French graffiti artist Mist, strikes back with an original vinyl toy, graphically following his latest mini series (Debilz) released in 2008 by Kidrobot. 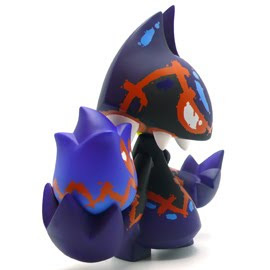 A new original figure for Mist, Lucius features all his iconic features such as innovative articulations, dripping colors, spiky boundaries and prominent teeth. 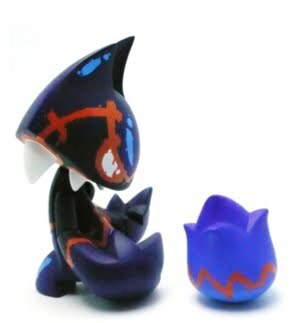 Lucius comes with its partner, a little flame-ball, that you can display in its hands or simply put by its side. Four colorways will be released in 2010. Born and raised in Paris, Mist first experienced graffiti in the late 80's and is also a French pioneer of designer toys. Today Mist travels the planet with his partner TILT for exhibitions and street paintings whenever he is not developing his art in his studio in the south of France. That means "MIST is the man!" en francais. Correct pronunciation is something like "mist, say luhmm". Now you know some French. Next week I will teach you what "merde" and "putain" mean. For now, visit MIST on his website, follow his blog or check the Flickr page devoted to his artwork.